WHAT IS PoS (POINT of SALE) TERMINAL? PoS or Swipe Machine as it is popularly known is a technological instrument provided to a Merchant Establishment (ME) to carry out the sale of goods or services to customers in a cashless environment. All the customer has to do is swipe his/her Debit, Credit or Prepaid Card. Give your business a professional touch by installing a PoS (Point of Sale) terminal. Faster application processing and terminal installation. Bank accepts varieties of cards like Visa, Master, Rupay card and Discovers cards. The merchant should have a current account with a branch of the bank with a satisfactory account operation. The merchant should be in retail/over the counter trade and shall not be in Visa/MasterCard negative list for malpractices. The turnover of the merchant of the merchant through cards should be over Rs. 50000/Month. The merchant shall have a fixed landline connection for Normal EDC Terminal otherwise they will have to apply for GPRS based machine. Commission depends on the turnover of the merchant through cards and this would be quoted after site inspection. However, higher the turnovers lower the commission and vice-versa. It’s a simple process where the merchant has to fill up an enrollment form and enter into an agreement with the bank. This application has to be processed through the bank branch where the merchant has the current account. You can contact your bank branch for further details. As per the Merchant Agreement, Please contact your branch for further details. Q. 1. What is Point of Sale (PoS) / Card Swipe Terminal? A. PoS or Swipe Machine as it is popularly known is an instrument /EDC (Electronic capture Device) provided to a Merchant Establishment (ME) to carry out the sale of goods or services to customers in a cashless environment. Q. 2. What kind of cards swiped on Union Bank of India Point of Sale Terminal? A. Bank accepts varieties of cards e.g. Visa, Master, Rupay card, Amex, and Discovers cards etc. Bank is in the process of getting certification from JCB & Union Pay which may take some time. After receiving certification from JCB & Union Pay, all types of cards will be accepted by Union Bank of India POS terminal. Q. 3. What is Merchant Acquiring Business (MAB)? A. MAB is primarily referred to as the mechanism of providing necessary infrastructure and facilitating payment for goods and services purchased through medium of a card. Q. 4. Who are the various entities / Stakeholders involved in Merchant Acquiring Business? Issuer: The Bank that issues the cards. Cardholder: Customer / Non-customer using card for making payment. Merchant: Entity which accepts payments through cards. Acquirer: The Bank that provides necessary infrastructure to the merchant to accept payment, maintains relationship and facilitate acceptance payments through cards. Q. 5. What is Merchant Discount Rate (MDR) or Merchant Service Fee (MSF)? A. The commission charged by the acquirer (Union Bank) to the Merchant for transactions. It is also termed as Merchant Service Fee (MSF). Q. 6. What is ON-US & OFF-US Transaction? A. ON-US Transaction: Where issuer and acquirer is same (e.g. Union Bank of India Debit Card swiped on Union Bank of India POS terminal). Q. 7. What is interchange and authorization Fees? A. Interchange: The incentive paid by the Acquirer Bank to the Card Issuer Bank for promoting payment through cards. Authorization Fee / Scheme Fee: The service fee paid to intermediary agencies i.e. MasterCard, Visa and NPCI for facilitating interbank payments. Q. 8. What is Batch Settlement and Charge-slip? A. - Batch Settlement: Closing of Daily Transaction and Generation of transactions reports. Charge – Slip: Charge slip refers to the voucher printed after swiping and charging a debit or credit card. Q.9. When will merchant get the transaction amount credited against the transaction swiped on the Union Bank of India PoS terminal? A. The Merchant Account will be settled on next working day i.e. T+1 where T is transaction date. Q.10. What is the benefit for card holder customer? Need not carry cash, which is risky. Maintains higher balances in the account resulting in higher interest on deposits. Saves time and money in visiting bank branch / ATM to withdraw money and spend the same at merchant outlet, who has to again deposit the same in Bank. The time saved results in lower cost and higher productivity as time saved can be gainfully utilized. Q.11. What is the benefit for Merchant? The customers have tendency to higher purchases/impulsive buying while using the card than cash, thus more sales and higher profits. The facility can also have provision for customer loyalty points which are widely used to attract the customer to the outlet repeatedly. 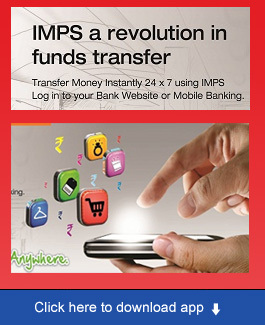 Additional revenue stream from value added services such as Cash @ POS, Mobile Top up, Remittances etc. (yet to be introduced). Q.12. How many varieties / Kinds of Union Bank of India PoS Terminals? A. Five types of terminal. KYC Compliance - Merchant needs to provide necessary documents regarding the proof of business, address proof, photo identity proof of the proprietor/ partner/ key promoters etc. Availability of Connectivity PSTN with STD at Merchant Location (Cost to be borne by the Merchant). 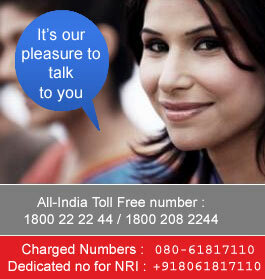 If land line is not available, GPRS either desktop or portable as per customers’ choice. Opening/identification of account for settlement of transactions with Union bank of India. Acceptance of Merchant Service Fee (MSF)/ Merchant Discount Rate (MDR) by the Merchant offered by Bank. Merchants’ consent for execution of Merchant Establishment Agreement between Bank and Merchant. POS terminal shall be installed only after the execution of ME agreement. Q.14. Where and how a merchant can apply for installation of PoS terminal at his Merchant Establishments / Shops? A. Merchant can contact the nearest branch of Union Bank of India. The application form is readily available on bank web-site (Under Development), which may be downloaded, filled and submitted to the branch along with KYC documents to save time. Q.15. Whether merchant has to pay for Cost of PoS Terminals? A. No, merchant is not required to pay anything towards cost of terminal. POS terminal is installed at absolutely free of cost. The cost for procurement of terminal and the maintenance of terminal is borne by the Bank. Q.16. Whether Merchant are required to pay any other charges other than MDR/MSF? A. Yes, some nominal charges. For more details contact nearest branch of Union Bank of India. Q.17. What are the Do’s and Don’ts for merchants? Merchants must accept all cards when properly presented as payments for transactions. Bring to the notice of the bank any fraudulent activities. In case of any problems with the machine, call the helpline number- 18002332332 / 18602334959 or nearest offices. Verify the card holder’s signature with the one below the strip of the card. Perform settlement on POS terminal at-least once in a day; settlement may be done by merchant as many times as he wishes. If not done amount shall not be credited in customer’s settlement account. Merchant must not disclose details of the card or cardholders to any third party. Impose any extra charge or surcharge (unless expressly allowed by local law). Indulge in any fraudulent activity. Q.18. Which value added services are being offered on Union Bank of India PoS terminals? A. Currently we provide Cash @ PoS Facility. Q.19 Why a merchant should opt for Union Bank of India PoS Machine? Cost of Paper Roll included in monthly rental. Value added services like Cash @ POS, Merchant Loyalty point.